Our range of Projection Welding Machines has superior qualities and features. One of its valuable features being lower power consumption in comparison to projection welders. 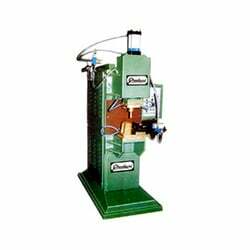 Owing to this feature these welding machines are a highly demanded product in the market. The range of Projection Welding Machines is made using high quality raw material and the best technology.